Another twist in the political world for 2016. We thought it couldn’t get worse than Brexit. But the power of the rhetoric of fear has won the hearts and minds of the uneducated white males of America and they came out to make their voices heard. The unimaginable has happened and the world has a new President. What was a joke has become reality. 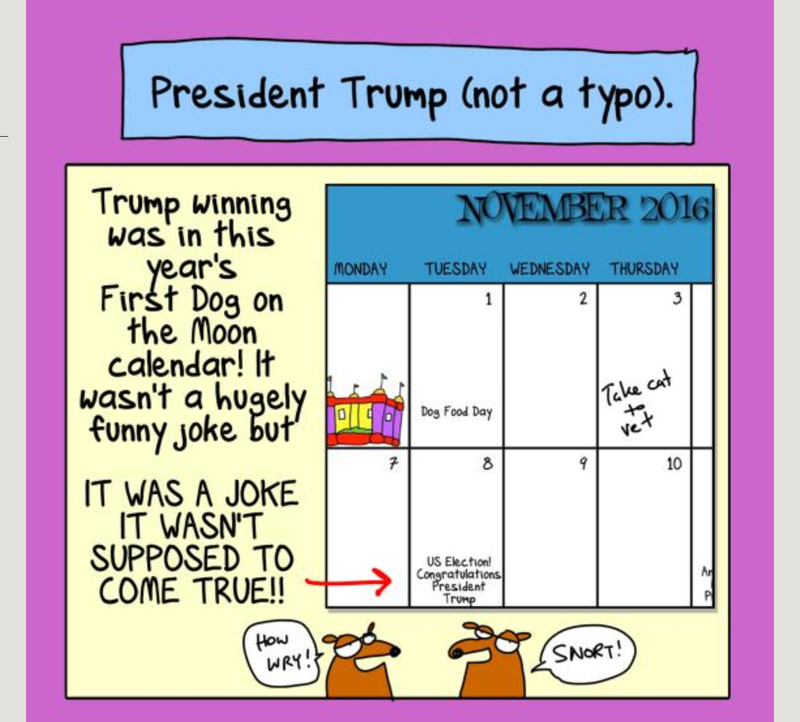 Cartoon courtesy of First Dog on the Moon.